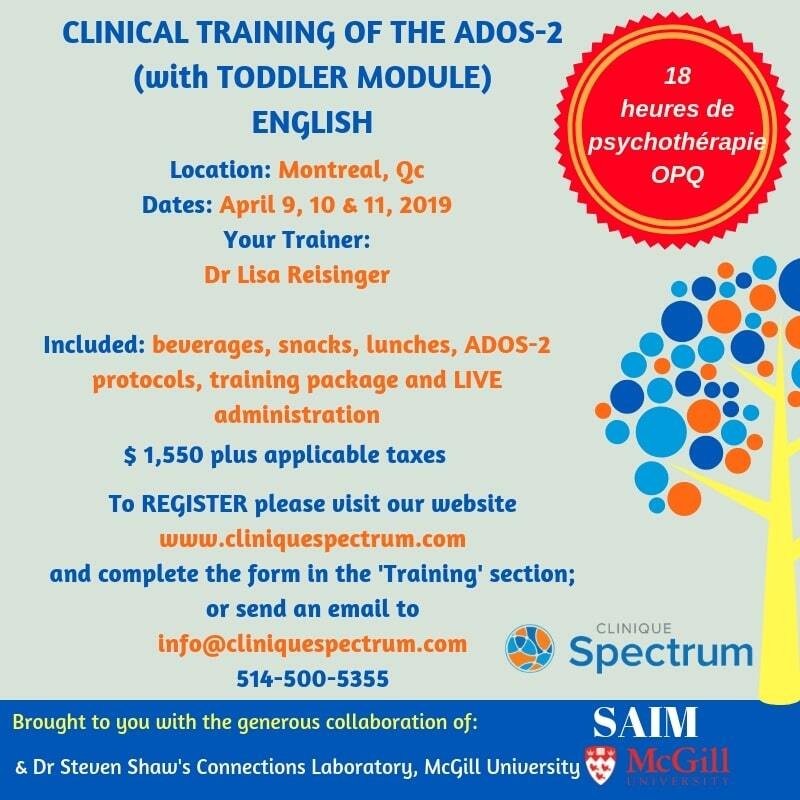 Participants who wish to perfect their skills in the assessment of autism spectrum disorder using the ADOS-2 can join us for our in-depth training workshop. This training provides professionals with the opportunity to work towards research & clinical reliability. Dr Rebecca Simon worked for 10 years as a clinical psychologist at the Montreal Children’s Hospital leading diagnostic assessments for children and adolescents with ASD and other neurodevelopmental disorders. She also trains professionals in ASD assessment both locally and internationally. She is a certified independent trainer from the University of Michigan’s Autism and Communication Disorders Centre. Please be familiar with the ADOS-2 manual. For the ADOS-2 Toddler module preparation, it is of most importance to read through chapters 2, 5 and 6 of the ADOS-2 manual, and by examining the Toddler Module related material in the kit. Please bring your ADOS-2 manual with you to the training course. Manuals can be purchased at MHS or WPS or in Québec at IRP.